It’s Spring! Finally, time to open all the window’s, kick the kids outside longer and get ready to enjoy the warm weather. I always feel the need to deep clean my house after a cold and snot filled winter. 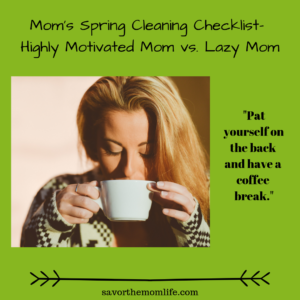 Something about the sun being out longer shines a light on all the dirt and since the kids are going to be outside more it’s OK to spend more time cleaning! It may stay clean for a little longer, at least until they are home all day for summer break. 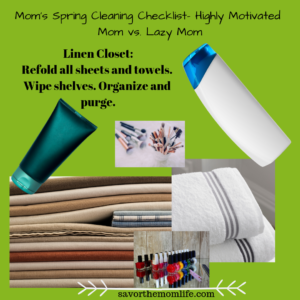 Check out my Mom’s Spring Cleaning Checklist. 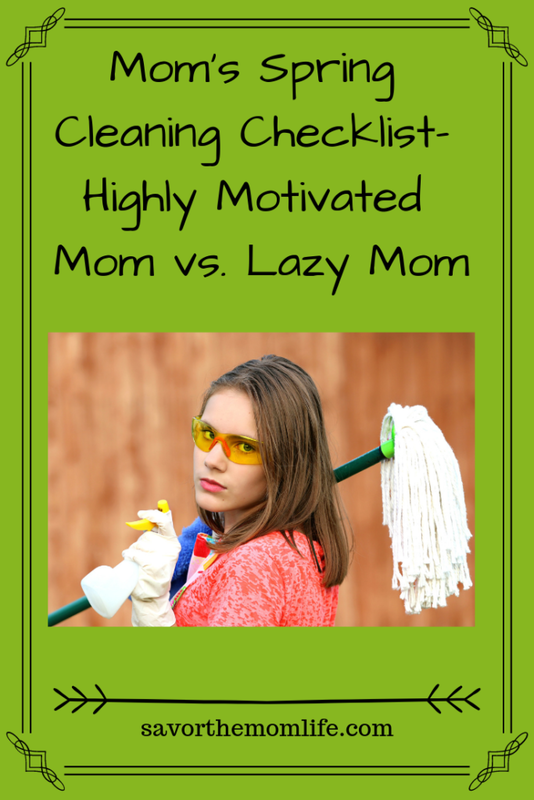 I made one for the clean freak mom and one for the less motivated mom. Enjoy! 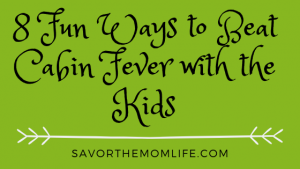 Bonus: If you read all the way to the bottom there are ideas to get your kiddos helping with the chores too. Wipe down all cabinet doors and drawers. Organize and purge all inside contents. Wipe down refrigerator, inside and out. 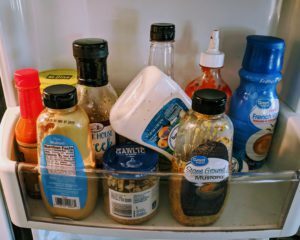 Purge any outdated food and condiments. Wipe down the stove and oven. Clean burners. Run self-cleaner setting on the oven (make sure this is on a day you can have the windows open. )Don’t forget to wipe the crack between the oven and the counter. Wipe sink, drain, faucet and run some ice and lemon in the garbage disposal. Run vinegar bowl in the empty dishwasher. Wipe out any loose debris and clean out filters. Run vinegar bowl in the microwave and wipe inside and out. Sweep and Mop floors with all furniture moved. Don’t forget to get all the baseboards. Take a vacuum cleaner to the bottom of the refrigerator. Wipe down all chairs and table with soapy water. Wipe out the sink and make sure the drain is clear and clean. Wipe all cabinets and drawers. Organize and purge contents. Wipe the shower walls. Scrub the tub. Inspect and clear tub drain (EWWWWWW). Clear any old caulk and add new. Dust and wipe light fixtures and exhaust fan. Shake out and wash throw rugs. Refold all sheets and towels. Wipe shelves. Organize and purge. Dust Ceiling fans, wall decor, dressers, bedside tables, and window sills. Organize and purge the closet, dressers, and bed-side tables. Move bed and vacuum underneath. Flip mattress, spray with Lysol and vacuum. 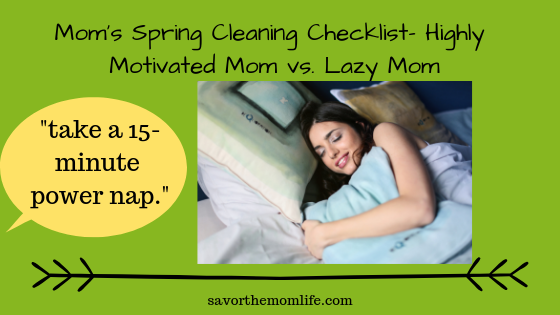 Sweep and mop or vacuum the rest of the room. Shake out and wash any throw rugs. Dust all decor, lamps, tables, bookcases, tv, and electronics etc. Windex windows and wipe down the sills. Remove sofa cushions and covers- launder anything possible. Vacuum out sofa and any cushions that cannot be laundered. Lysol everything. Move furniture. Sweep and mop and/or vacuum. Shovel out any leftover ash and shop vac out the hard to get bits. (This may or may not be a fictional recreation of spring cleaning in my house). Wipe down the one or two cabinet doors next to the stove- they get the most greasy anyway. Take any old papers off the fridge, move them to the counter and have a snack. Look at the top of the stove and save that for the husband to clean. Maybe wipe the dribble on the stove door. Put dishes from the sink into the dishwasher. The sink is now clean! Wipe the inside of microwave sides and curse at the stuck on tomato sauce on the top. Clean off one counter. Pat yourself on the back and have a coffee break. Wipe the one counter you cleaned. Sweep the floors, let the dog lick up the crumb pile- mopped! Put a new table cloth on the table and have a seat to enjoy the rest of your coffee. I cleaned the sink and toilet on Monday they are fine. Empty the trash from under the sink. 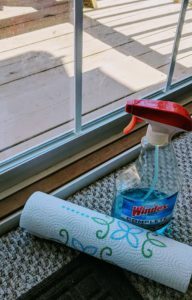 Run a bleach wipe across the baseboards to collect hair. Thank the spiders for keeping other bugs out of the bathroom. Windex toothpaste smears from the mirror. Think about sweeping but then realize that bleach wipe you used on the baseboards was good enough. Dust Ceiling with an old pillowcase, take a 15-minute power nap. Carefully fold up the beloved flannel shirts and shove into the top of the closet. Look in the mirror and decide to get dressed for the day. Find your favorite pair of shoes under the bed and cringe at the dust bunnies. Vacuum around the basket of laundry that needs to be folded. Dust one lamp and tv. Toddler requires to you watch whichever Disney princess movie is the current favorite. Clear cobwebs from windows as you open them for fresh warm air. Remove sofa cushions and covers- cringe at the crumbs and put them back. Bribe the6-year-old with video games to use the hand vac later. Move furniture. Fill a box with lego bits. Vacuum. Dang, I wanted one more fire before I was spring cleaning. Wipe down bottom cabinet doors. Help sweep and clean up dirt pile. Use this great kid-sized broom set. Wipe down their chair at the dinner table. Roll up throw rugs to be washed. Collect toothbrushes to be dishwashed. Make sure clothes are in drawers, closet or hamper. Fill one bag of toys to give away. Take sheets off the bed. Windex the windows where they can reach. 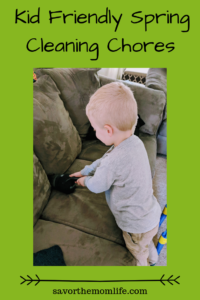 Use the hand vac to clean out sofa crumbs and under the sofa. Final thought: Focus on what is important for you and your family’s happiness. Mom’s Spring Cleaning Checklist is up for interpretation. A clean and organized home feels great but doesn’t stress yourself out and sacrifice time with your family to get it that way! 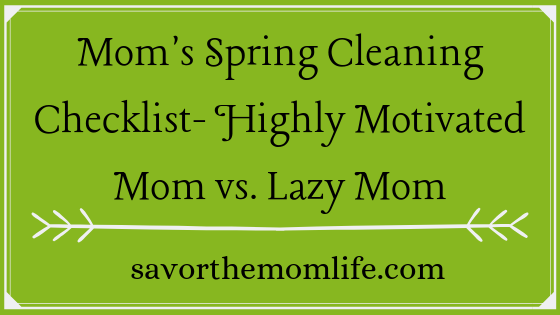 Here are some links to some of my favorite printable spring cleaning lists! 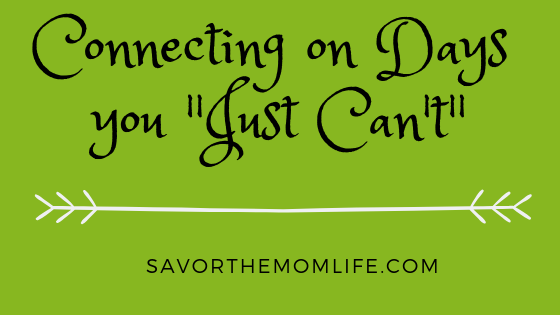 Please Check out Some of my other Mom guiding Posts! Hello, this article is really informative and helpful!! I like the part kiddos helping part. It really recurs my memory that my mom asks me to do the housework. However, I always have some argue with my younger sister. How to ask the kiddos to do the work for you to prevent this kind of situation?? I think I would give each kid their own chore they alone are responsible for and if you want to change it up you could have them take turns. I used to do every other week cleaning the bathroom with my sister. I am sure we argued over who’s turn it was as well. My mom usually had us written on the calendar so the argument didn’t last very long. 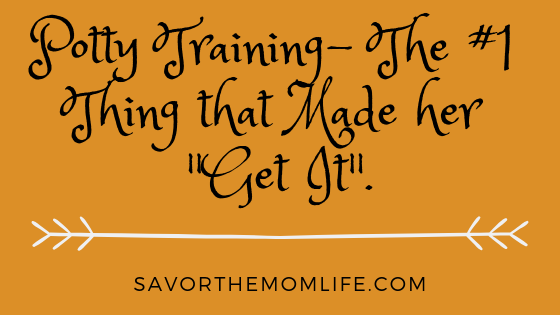 When my kiddos get a little bigger I’m going to make them each their own chore charts to keep track. Australia! I would love to visit there! I’m glad you liked my post and are inspired. Thank you so much for your wonderful comment. I’m pretty sure if I lived in Australia the spiders would NOT be allowed to stay- too many poisonous ones! Ha yes toddlers like to do what they want don’t they!